Tamzin Merchant stars in a new WGN America's period TV drama series 'Salem' which premieres on April 20th! 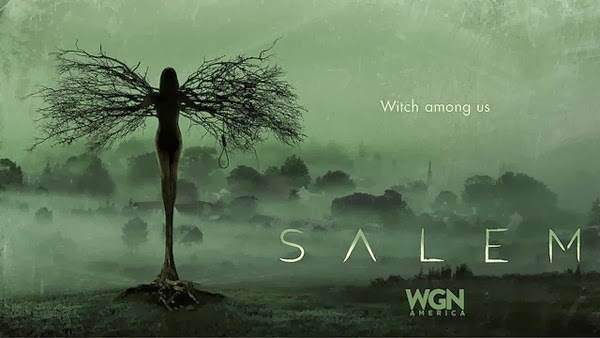 Tamzin Merchantwill be co-starring with Shane West (Nikita) in WGN America's new original scripted period TV drama series Salem, which will premiere on Sunday, April 20th. 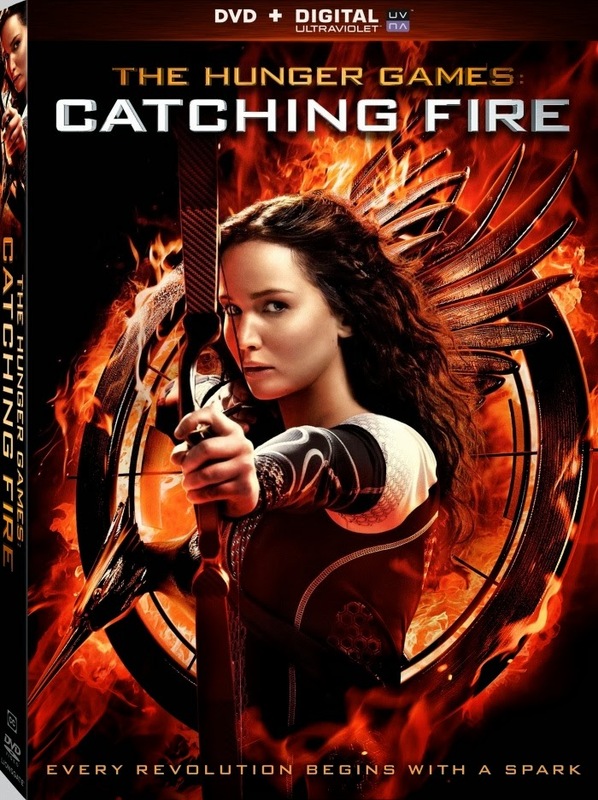 The Hunger Games: Catching Fire coming to DVD and Blu-ray March 7th! The top U.S. mega Box-Office grossing film of 2013, The Hunger Games: Catching Fire starring Jennifer Lawrence (Katniss Everdeen), Josh Hutcherson (Peeta Mellark), Liam Hemsworth (Gale Hawthorne), Sam Claflin (Finnick Odair), Donald Sutherland (President Snow) and Jena Malone (Johanna Mason), is coming to DVD and Blu-ray combo packs and HD Digital on March 7th! The mega successful film is still and currently playing in theaters nationwide since last November 22nd, 2013 and according to Box Office Mojo, its impressive domestic total as January 26, 2014 is over $420 Million (the #1 Box Office hit of 2013!) and counting...while its foreign total (as of Jan. 26 2014) is now $435.8 Million with a worldwide total of $855.9 Million (and counting...getting closer to a billion $)! Read my full Film Review: The Hunger Game: Catching Fire in my other blog, In The Mood For Movies. 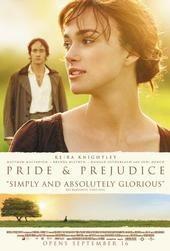 Happy 201st Birthday Pride and Prejudice! It is a truth universally acknowledged that Jane Austen's "darling child," PRIDE AND PREJUDICE, originally titled, "First Impressions," celebrates its 201st Anniversary of publicationtoday, January 28, 2014! Last year, I posted and celebrated the big200th Anniversaryhere. 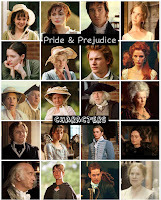 See my Pride and Prejudice 200 extra page for all things P&P! 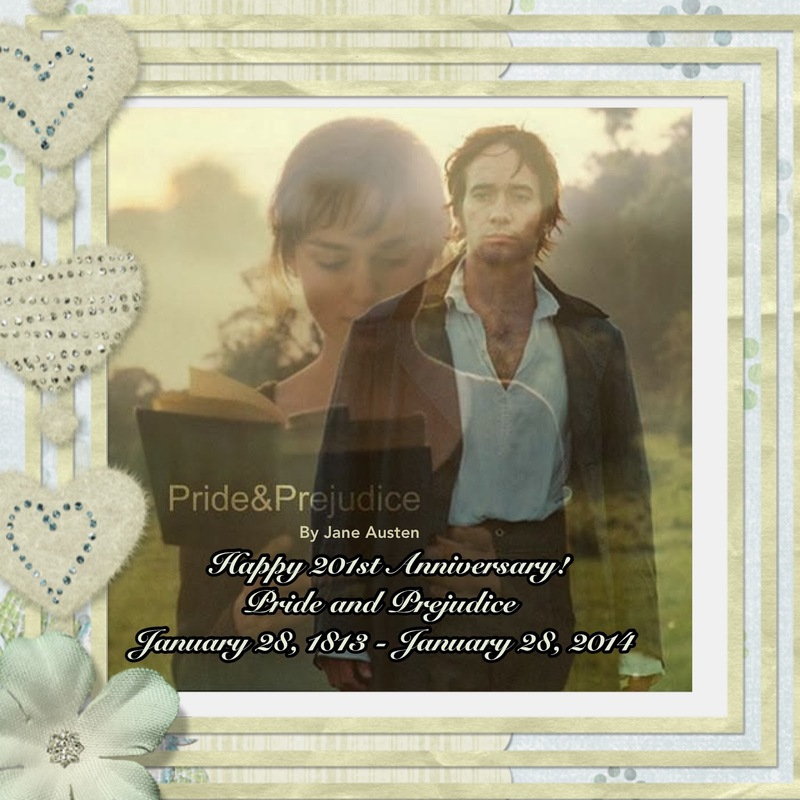 Happy 201st Anniversary Pride & Prejudice and Elizabeth & Darcy!! 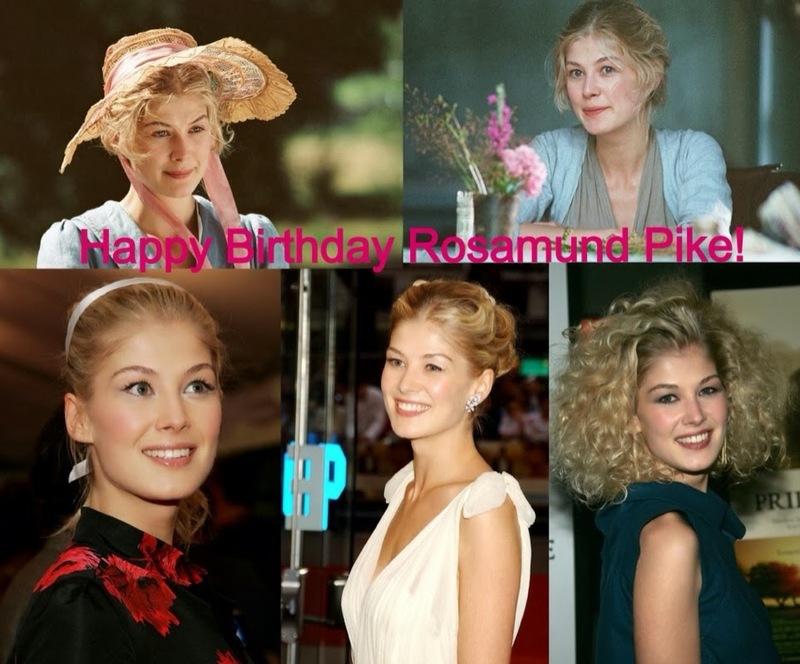 Today (January 27th) is the lovely and ethereally beautiful Rosamund Pike (aka Pride & Prejudice's own Jane Bennet)'s 35th Birthday! Born Rosamund Mary Elizabeth Pike in London, England, UK. Miss Pike is an only child, her parents are Julian and Caroline Pike. Her father Julian is a professional opera singer, whilst her mother Caroline is a concert violinist. Read more of Rosamund Pike's Biography here. Miss Pike has 5 upcoming films (Gone Girl, Return To Sender, What We Did On Our Holiday, Hector and the search for Happiness, and A long Way a Down ) slated for 2014 theatrical release! Murder On The Home Front starring Tamzin Merchant to premiere February 16th on PBS! After watching Downton Abbey (Season 4 - Episode 4) tonight, I saw a preview of the ITV's two-part crime drama Murder on the Home Front starring Tamzin Merchant(as Molly Cooper) and Patrick Kennedy, whichwill premiere on PBS (after Downton Abbey) on February 16th! Finally, I'll get to see this on PBS next month! Murder on the Home Front makes its US broadcast premiere on Sunday, February 16, at 10 PM ET on PBS (check your local listings), and its online debut the next day on the PBS Video Portal. Tonight Downton Abbey (Penelope Wilton co-star as Isobel Crawley) continues its fourth season with Episode 4 on PBS Masterpiece at 9/8c. Check your local listings for air times in your area. Kelly Reillyattended the portrait session and after party of her upcoming filmCalvary at the2014 Sundance Film Festival with writer/director John Michael McDonagh. It had a premiere screening this past weekend (January 19th), which Kelly attended as well (though no photos of her yet on Zimbio from the premiere) with 4 more scheduled screenings listed here. Calvaryhas reportedly sold to Fox Searchlight for $2.5 million! 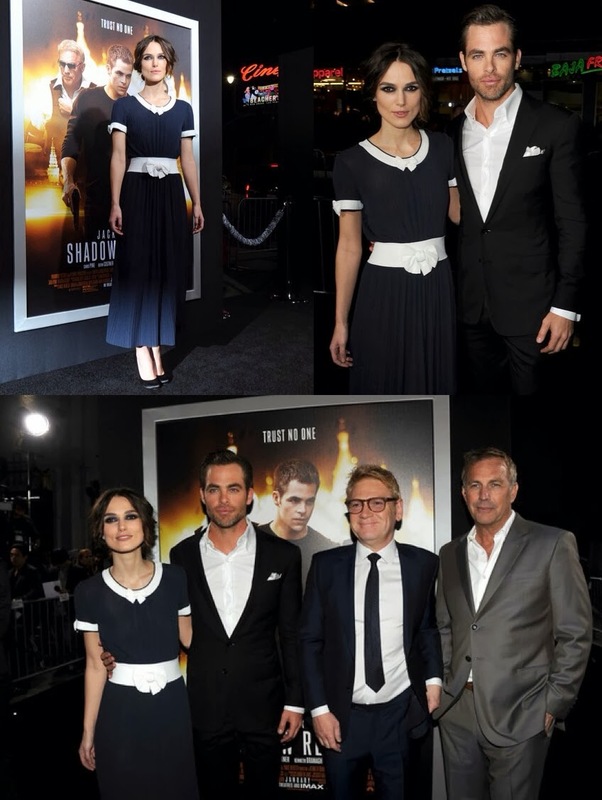 Keira Knightleyattended the UK premiere of Jack Ryan: Shadow Recruitwith co-stars Chris Pine and Kenneth Branaghon Monday, January 20, 2014. The premiere was held at the Vue West End, Leicester Square, London, England. The film opens in UK Cinemas this Friday, January 24th. Tonight Downton Abbey (Penelope Wilton co-star as Isobel Crawley) continues its fourth season with Episode 3 on PBS Masterpiece at 9/8c. Check your local listings for air times in your area. 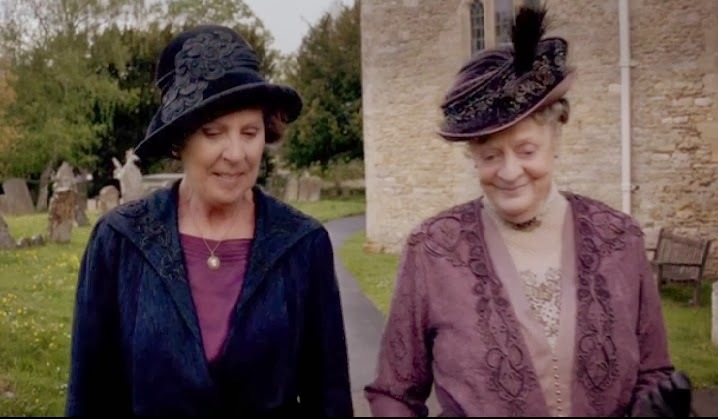 Many Congratulations to Dame Maggie Smith (Lady Violet Crawley/Dowager Countess of Grantham) for winning last night's 2014 Screen Actors Guild Awards for Best Female Actor in a TV Drama Series!!! The 2014 Sundance Film Festival has just started this week and Keira Knightley's upcoming film Laggies directed by Lynn Shelton just had its premiere. A new still featuring Keira (above) has been released and she attended the Sundance premiere as well. Kelly Reilly's new ABC drama series 'The Black Box' to premiere April 24! ABC has announced the premiere date of Kelly Reilly's new drama series The Black Boxfor Thursday, April 24 at 10/9c, replacing Scandal (which is wrapping early due to Kerry Washington’s pregnancy, according to TVLine). Kelly Reilly was cast in a lead role (in which she was the top choice too) as Elizabeth Black in a new ABC limited (13 episodes) drama series The Black Box, her first TV series in America! The Black Box centers on Elizabeth Black (Reilly), a world-renowned neuroscientist who appears to have it all but is constantly haunted by her own struggle with mental illness. And that is not the only secret she’s kept locked away from her family and her new fiancé. Also, check out new photos of Kelly Reilly's with the producers and director of The Black Box from the ABC's Winter TCA Tour below. 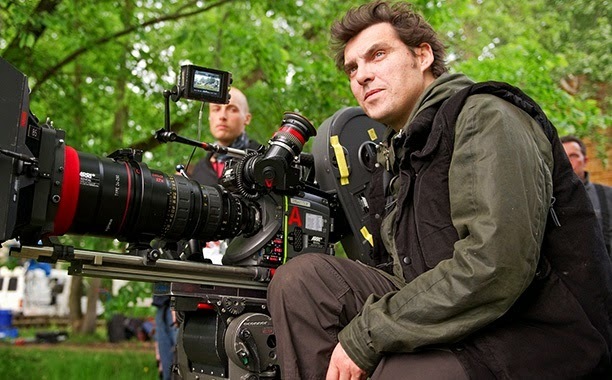 With the surprising news tonight of Zack Snyder’s untitled Superman/Batman film's release date being pushed back (from July 17, 2015 to May 6, 2016), Joe Wright'supcoming “Peter Pan” origin tale tentatively titled Pan, for Warner Bros. Pictures (which made The Black List) was originally slated for a June 26, 2015 release...now, it's been announced that it's pushed back a month later to fill up the Superman/Batman's original release date of July 17th, 2015. So, now it's set for that release date worldwide. Now showing Kenneth Branagh's Jack Ryan: Shadow Recruitstarring Chris Pine (Jack Ryan),Keira Knightley(Cathy), Kevin Costner, Kenneth Branagh, Peter Andersson, David Paymer, and Colman Feore. Go see it! Keira Knightley attended (with co-stars Chris Pine, Kevin Cosrtner, and co-star/director Kenneth Branagh) the LA premiere of Paramount Pictures' "Jack Ryan: Shadow Recruit" at TCL Chinese Theatre on Wednesday, January 15, 2014 in Hollywood, California. 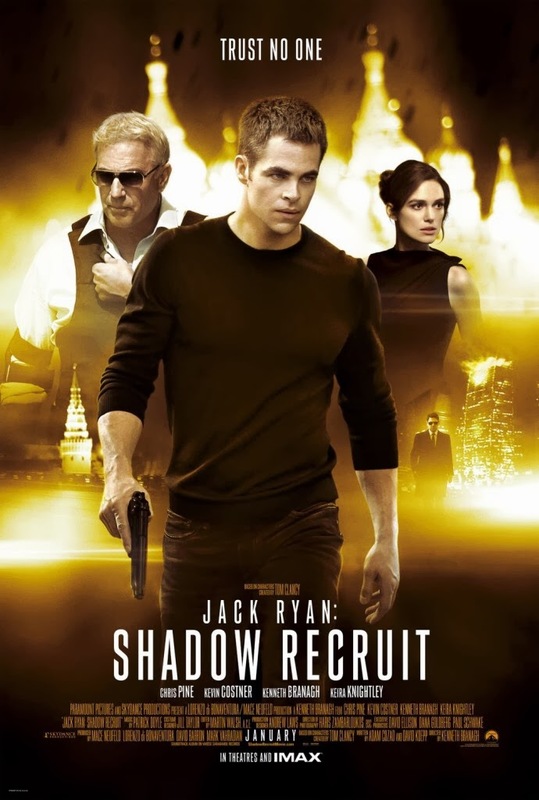 Kenneth Branagh's Jack Ryan: Shadow Recruitstarring Chris Pine (Jack Ryan),Keira Knightley (Cathy), Kevin Costner, Kenneth Branagh, Peter Andersson, David Paymer, and Colman Feore. 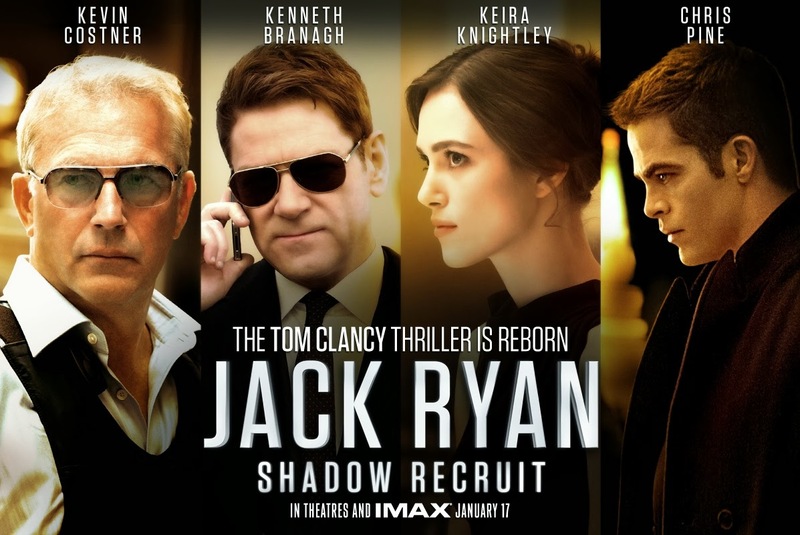 Jack Ryan: Shadow Recruit opens in theaters and IMAX today, January 17 in the US and the following Friday, January 24 in UK Cinemas. 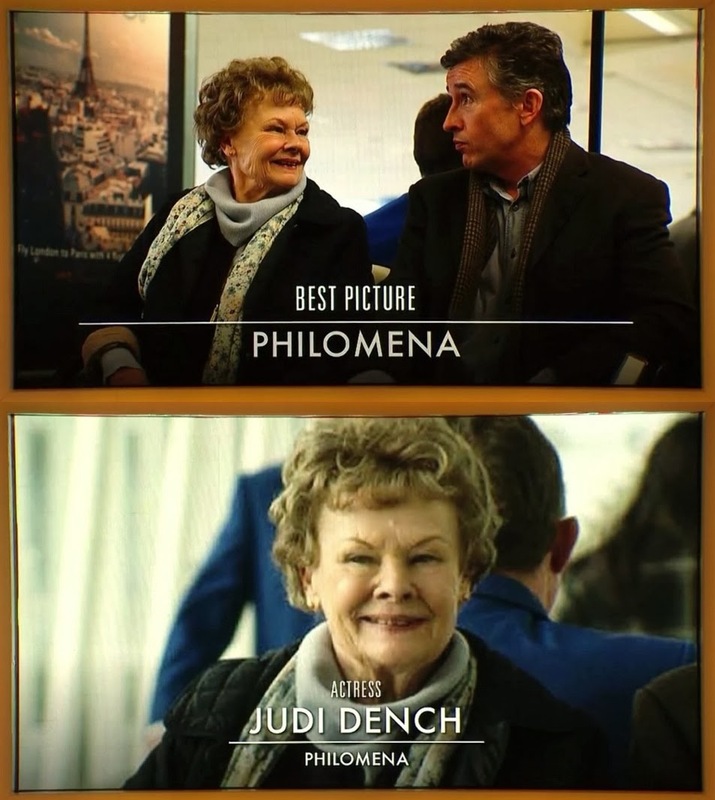 4 Oscar Nominations for Philomena including Best actress for Judi Dench! The 86th Academy Award Nominations has just been announced earlier this morning and Judi Denchand her Philomena film were nominated for 4 Oscars including a Best Actress (Best Performance by an Actress in a Leading Role) nomination for Dench. In addition to the 4 Oscar nominations, Philomena was nominated for 3 Golden Globe Awards (including Best Actress for Judi Dench), 4 BAFTAs (including Best Actress for Judi Dench), 2 Critics Choice Awards (including Best Actress for Judi Dench), and 1 SAG (a Best Actress nomination for Judi Dench). The 2014 Oscars will be on March 2nd, 2014 starting at 8 PM on ABCand will be hosted by Ellen Degeneres. Congrats and best of luck to Judi Dench and her Philomena film on their 4 Academy Award Nominations! Paramount Pictures has released more clips (including a new one with Jack Ryan asking "Where is She?" 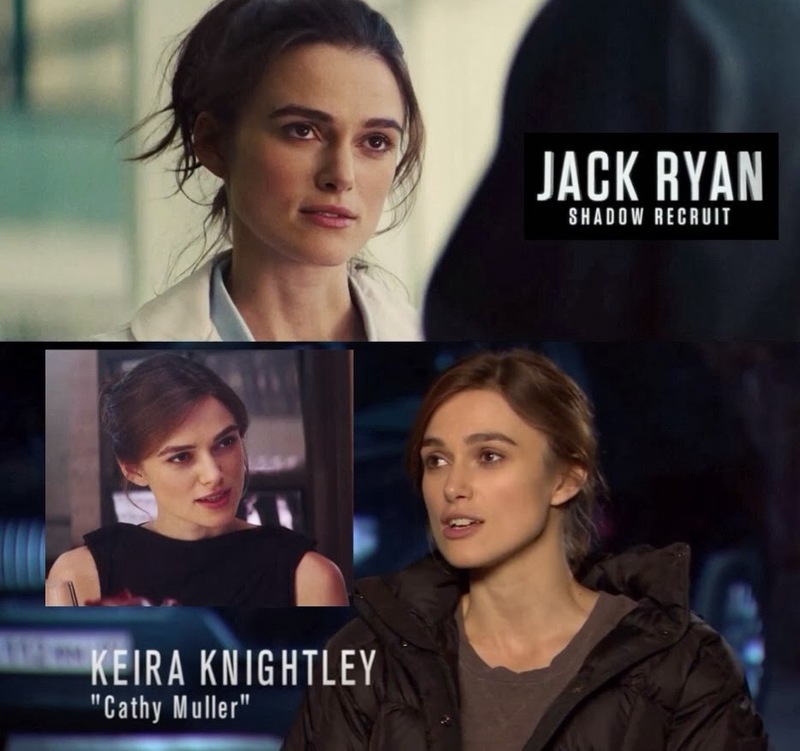 featuring Keira as Cathy Muller briefly) for Kenneth Branagh's Jack Ryan: Shadow Recruitstarring Chris Pine (Jack Ryan),Keira Knightley(Cathy), Kevin Costner, Kenneth Branagh, Peter Andersson, David Paymer, and Colman Feore. Entertainment Tonight also did a special "Anatomy of a Cast: Jack Ryan: Shadow Recruit" interviews this past weekend. Jack Ryan: Shadow Recruit opens in theaters and IMAX in 2 days, this Friday, January 17 in the US and the following Friday, January 24 in UK Cinemas. Tonight is the 71st Golden Globe Awards on NBC. Judi Denchand her Philomena film has received 3 GG nominations including Best Actress for Judi Dench. Downton Abbey only got one nomination. Inside Llewyn Davis and The Hunger Games: Catching Fire (Coldplay's song "Atlas" from the film's soundtrack) were also nominated. The 71st Golden Globe Awards will be co-hosted by Tina Fey and Amy Poehler on January 12, 2014. 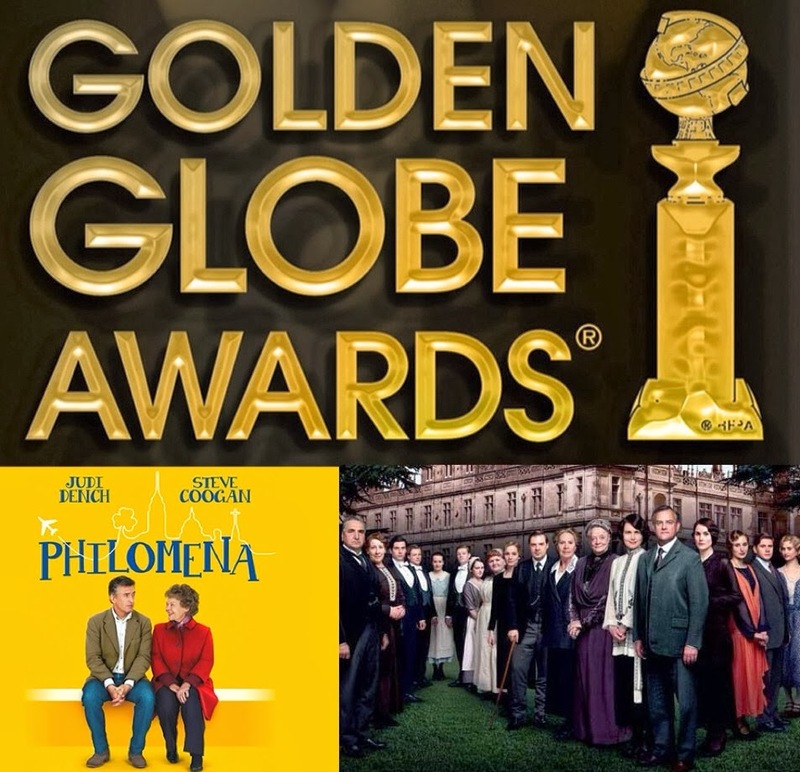 See List of Golden Globe Nominations for Philomena, Downton Abbey, and more here. Tonight Downton Abbey (Penelope Wilton co-star as Isobel Crawley) continues its fourth season with Episode 2 on PBS Masterpiece at 9/8c. Check your local listings for air times in your area. 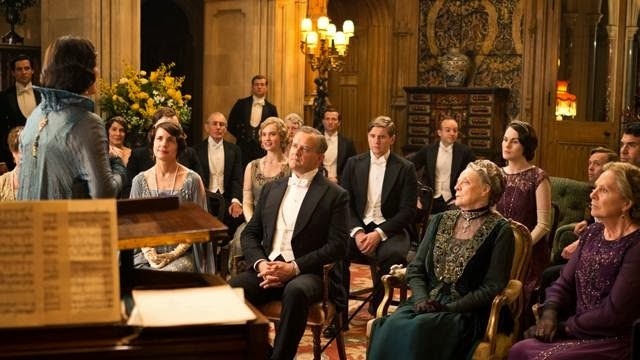 ‘Downton Abbey’ Hits Series High With Season 4 DebutThere were also a lot of people watching: Airing at 9 PM, the two-hour episode, which is set in 1922 and takes place six months after the sudden death of Downton heir Matthew Crawley, pulled in 10.2 million viewers. That’s up 22% from the Season 3 debut and a series high for the show, eclipsing the previous record of the Season 3 finale on PBS last February. 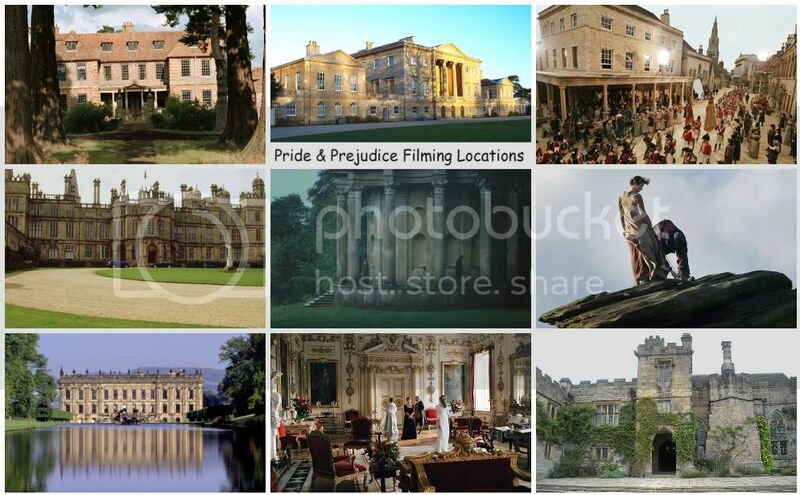 The third season of the British aristocratic period drama debuted on January 6, 2013, to 7.9 million viewers, which was a strong leap from the 4.2 million who watched the second-season launch on January 9, 2012. 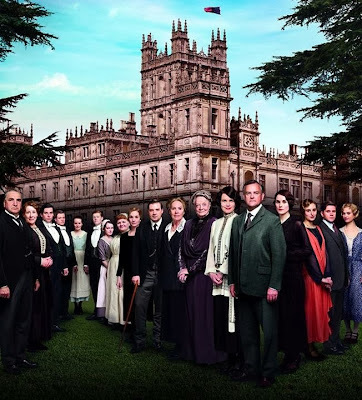 Even before this latest cycle started, Downton Abbey has been the highest-rated drama in PBS history. 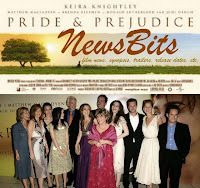 P&P NewsBits: Judi Dench, Penelope Wilton, and cast of 'The Best Exotic Marigold Hotel' reunite for sequel, Jena Malone's 'The Wait' in select theaters now, and more! Here's this weekend's quick news round up of TV and film news (including casting calls, a film synopsis, trailers, release dates, festival news, etc.) of the following P&P (2005) actorsKelly Reilly,Jena Malone, Donald Sutherland, Rupert Friend,Judi Denchand Penelope Wilton), all in one post! Paramount Pictures has released more clips and mini Character Profile featurettes and 16 images (via Collider) for Kenneth Branagh's Jack Ryan: Shadow Recruitstarring Chris Pine (Jack Ryan),Keira Knightley(Cathy), Kevin Costner, Kenneth Branagh, Peter Andersson, David Paymer, and Colman Feore. Jack Ryan: Shadow Recruit opens in theaters and IMAX next Friday, January 17 in the US and the following Friday, January 24 in UK Cinemas. As the January 17th theatrical release date fast approaches, Paramount Pictures has been kicking its marketing in high-gear and has released more TV spots (saw a lot of them on my various TV channels lately),IMAX character posters (including one forKK's character Cathy Muller), and a couple new clips including one titled a "couple's therapy" (featuring Keira, in her very clear American accent, with Chris Pine) inKenneth Branagh's Jack Ryan: Shadow Recruitstarring Chris Pine (Jack Ryan),Keira Knightley(Cathy), Kevin Costner, Kenneth Branagh, Peter Andersson, David Paymer, and Colman Feore. EW's 'Gone Girl' cover featuring Rosamund Pike & Ben Affleck! Gone Girl opens in theaters October 3, 2014. 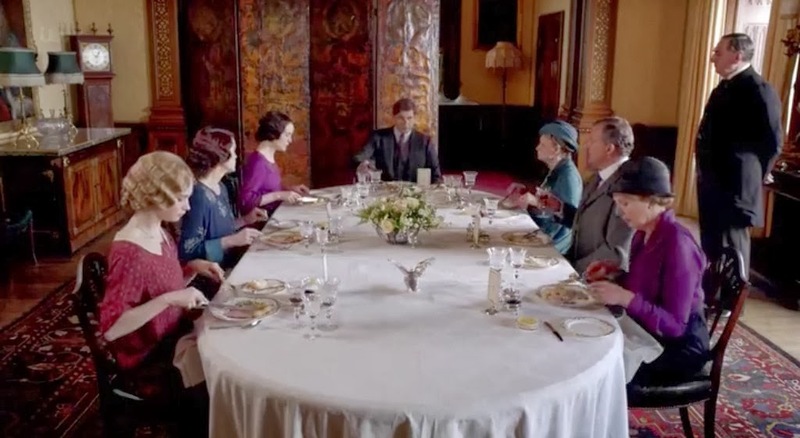 On TV Tonight: Watch the Season 4 Premiere of Downton Abbey on PBS Masterpiece! The long wait (for US fans) is over! Tonight Downton Abbey(Penelope Wiltonco-star asIsobel Crawley) kicks off itsfourth season on PBS Masterpiece at 9/8c. Episode 1 will be 120 minutes long! The new season starts six months on from the death ofDownton heir Matthew Crawley (Dan Stevens), son ofIsobel Crawley. Six months after Matthew's death, family and servants try to cure Mary and Isobel of their deep depression. Meanwhile, O'Brien causes a final crisis. Paramount Pictures has released an action-packed extended scene/mega clip of Kenneth Branagh's Jack Ryan: Shadow Recruitstarring Chris Pine (Jack Ryan),Keira Knightley(Cathy), Kevin Costner, Kenneth Branagh, Peter Andersson, David Paymer, and Colman Feore, which will be released in theaters and IMAX, this month, January 17 in the US and January 24 in the UK. David Koepp wrote the script. 2013 is now last year and we're now in the New Year 2014! You know what that means, right? 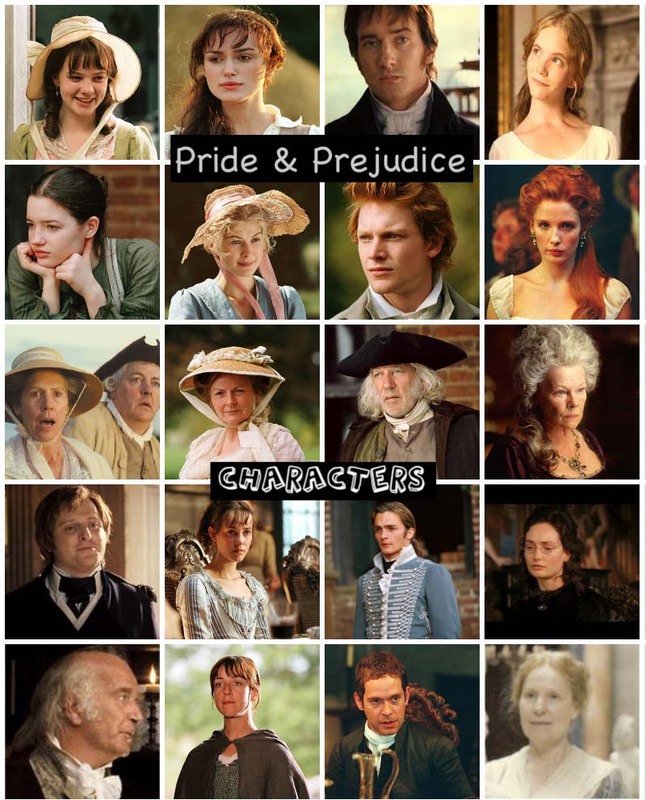 New TV series/returning shows and movies to look forward to this Winter and Spring from ourfavorite P&P (2005) actors! 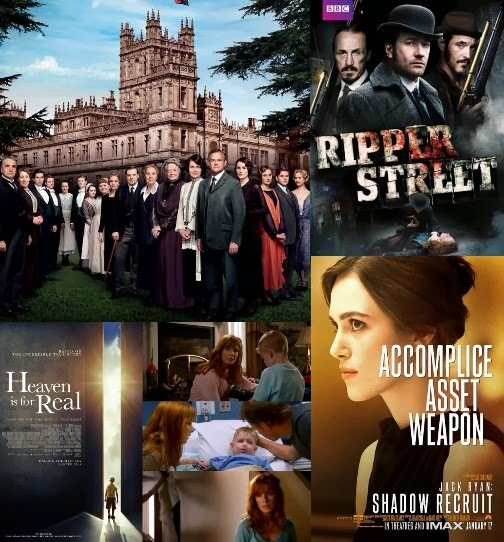 Continuing my annual list of some P&P '05 alumni with a new movie and TV series or mini-series starting this month of January through April of 2014 (as well as a few upcoming films to see in mid to late 2014!). UPDATED 3/23/14: Added theatrical release dates for Laggies, Begin Again (formerly known as Can A Song Save Your Life? 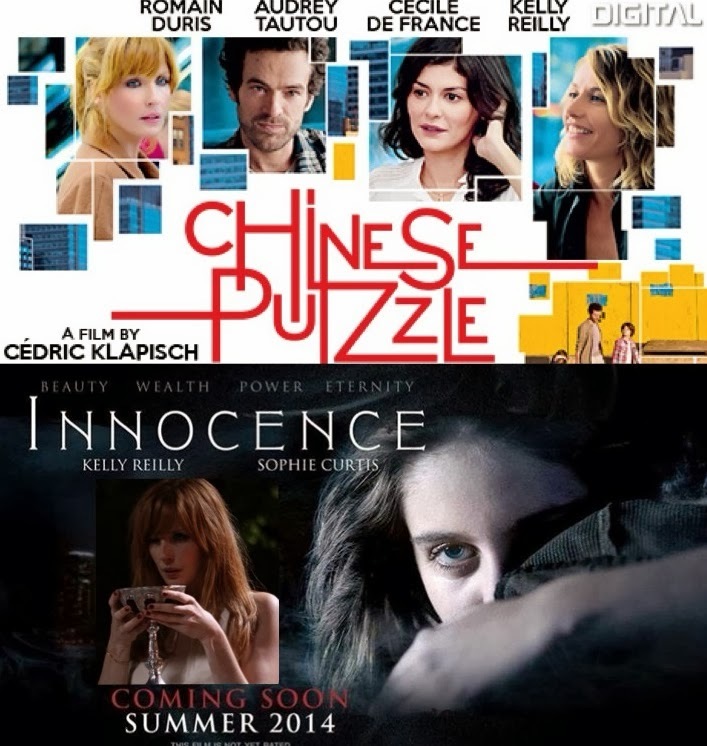 ), Calvary and Inherent Vice films and trailer links, synopsis, and more here. Season 2 of Ripper Street starring Matthew Macfadyen gets a new premiere date February 22nd on BBC America! 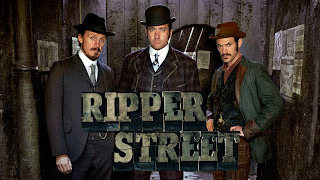 Just noticed that BBC America has quietly updated its page recently for Ripper Street(starringMatthew Macfadyen as Inspector Edmund Reid) and now has listed a new US premiere date for Season 2 (which was originally to air last December 1st, 2013, but due to BBC One canceling the series after 2 seasons in the UK, citing their reasons for axing it was due to poor ratings). 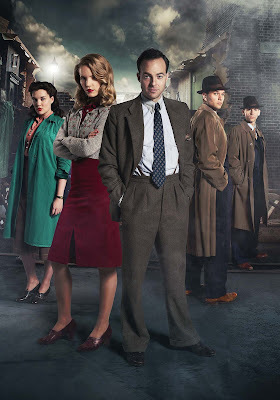 It is now going to premiere next month on Saturday, February 22, 2014 at 9/8c on BBC America. 2013 has been a really GREAT year for this P&P '05 Blog and it's all because of YOU. Thank YOU all so much for visiting, reading, and commenting here and for making this year, an amazing year! Like last year, I had a great time posting, updating, and keeping this Blog and P&P movie alive all year. 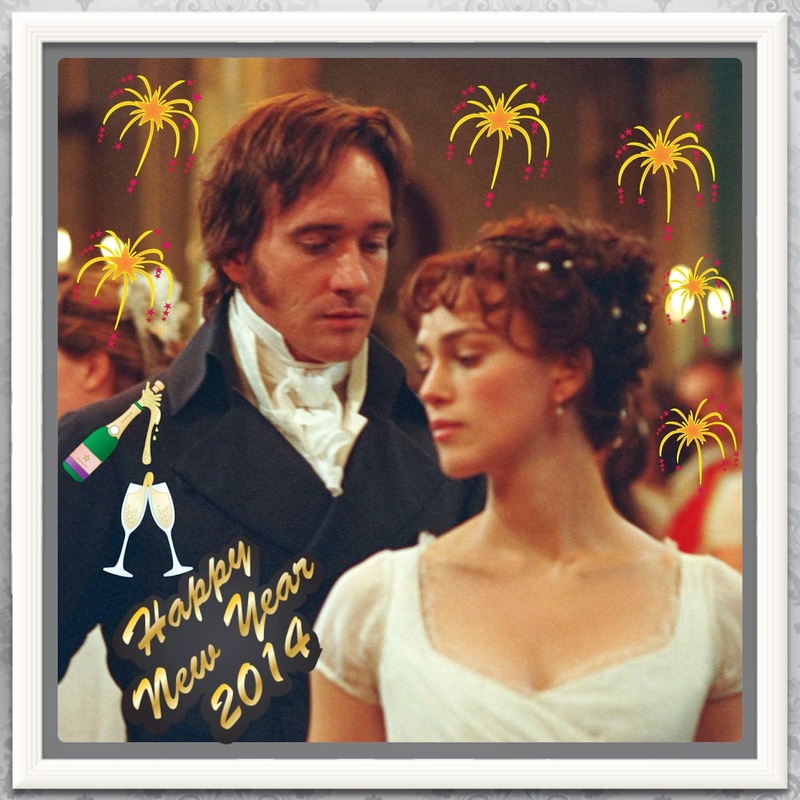 One of my favorite moments and posts this year has to be: Pride and Prejudice 200 Anniversary celebration posts. Hope to continue and keep going this year (2014) and beyond...well hopefully for many more years to come (or for as long as I can).